The return from the All-Star break shifts the Roadrunners into their longest road trip of the season; a six-game, 13-day run that will undoubtedly play in as a major factor in setting the tone to the late stages of a campaign that has shown postseason promise. It’ll be a trying stretch, but one the group is embracing. 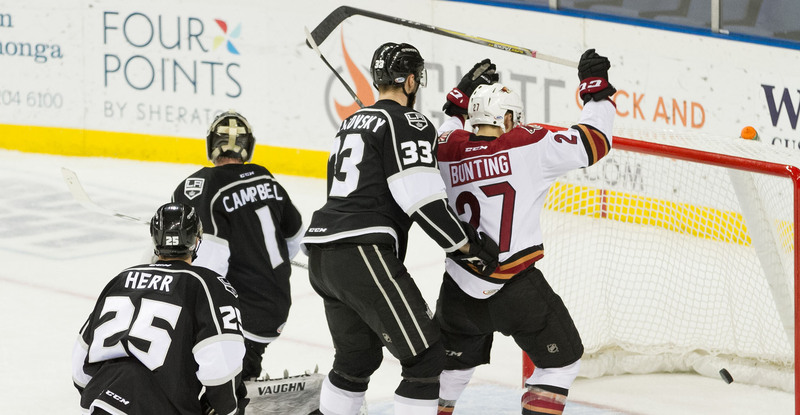 The team has been remarkable in opposing buildings this season, earning points in 14 of their 17 games played away from Tucson Arena, posting a 12-3-1-1 record – which translates into a .765 win percentage – the third best in the American Hockey League. They’ve already matched their road win total from the 2016-17 season, and they’re only halfway through their 34-game road schedule. Playing under a new regime with a crop of new names, both of the prospect and veteran variety, the team has consistently shown the characteristics of being a close, tight-knit bunch, utilizing that camaraderie to shift into on-ice chemistry. Togetherness is vital for a team, and especially so for a grueling, two-week trip away from home. 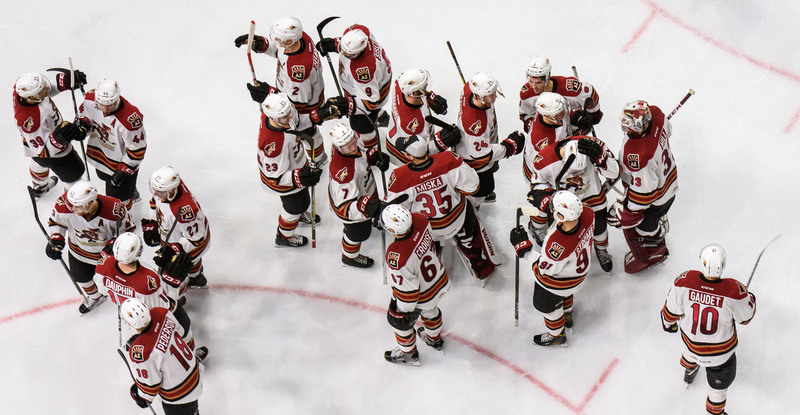 Sitting atop the Pacific Division, as they have for the majority of the season, the mindset will remain simple for the Roadrunners – a six-game trip broken into small bits, with each task getting centralized focus, attention. And hopefully, with a continuation of the familar success they’ve had in unfamiliar settings.